Jinglz, Inc., a mobile advertising company based out of Central Florida, announces the selection of historic Mount Dora for its company headquarters. 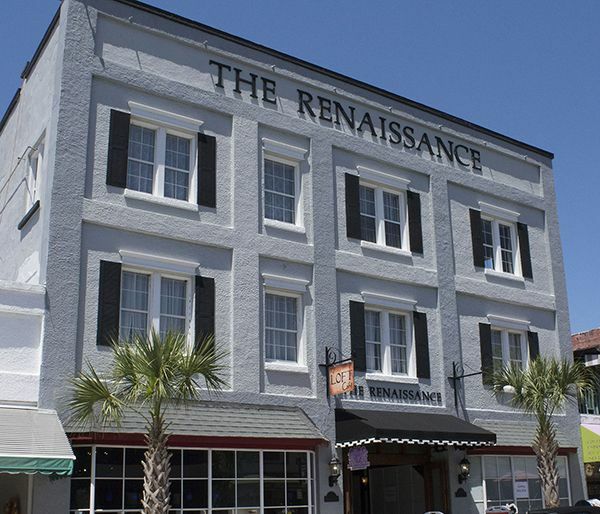 MOUNT DORA, Fla. - April 19, 2018 - PRLog -- Jinglz, Inc., a mobile advertising technology company and developer of the PlayJinglz™ mobile gaming app, announced today the selection of the historic Renaissance Hotel for its company headquarters. Well known to locals, the historic building will house the Jinglz development team as well as marketing and product development for its proprietary mobile advertising technology solutions. Aaron Itzkowitz, CEO said, "Mount Dora is a gem in Lake County with its many independent restaurants, shops, and small businesses that create an inviting place to work in Central Florida. We're confident that this beautiful and picturesque setting will also help us attract new talent going forward." Jinglz is developing new mobile ad tech solutions that will create positive change in the digital advertising market-- for advertisers, publishers, AND for users. After completing a proof-of-concept test phase in August 2017, Jinglz opened its first office in Eustis and spent the time since acquiring local talent and preparing to scale up the technology and launch their new ad platform. The new PlayJinglz™ (http://onjinglz.click/gemma/4vXmdGKO1) mobile app is now available in the Google PlayStore for Android mobile devices. Senior Marketing Strategist, Scott Crumpler, commented, "A projected 57 billion dollars will be spent on mobile advertising in the United States alone this year. Our technology, which can guarantee that users view video ads in full on mobile devices, will provide a competitive advantage and capture a substantial portion of that market. We're building our team and making an investment here in Mount Dora, and we're pleased to be a new part of the business community." Jinglz is an innovative mobile ad tech company currently developing a new digital ad platform focused on gamification, engagement, and positive exchange between advertisers, publishers, and users. They recently moved into new offices in Mount Dora, FL and successfully closed a Title III funding round through StartEngine.com that raised close to a million dollars in investment, which they're utilizing to bring their platform to market and continue development.